Ohio Landlord Tenant Law is provided for in Ohio Revised Codes (ORC), Title 53, Chapter 5321, Landlords and Tenants. Chapter 5321 provides the rights and responsibilities of both landlords and tenants for residential rental properties. It is the responsibility of all parties to a landlord-tenant relationship to know and understand their responsibilities and to comply with all relevant statutes under Ohio Landlord Tenant Laws. A party cannot successfully offer defense in court by stipulating that the party was not aware of a particular ORC statute. Forcible entry and detainer actions are provided for in ORC 1923. None of the information contained herein is meant to substitute for legal advice, nor is it meant to be an exhaustive list of all statutes relative to Ohio Landlord Tenant Laws. If you have specific questions or believe you may have a potential legal case regarding Ohio Landlord Tenant Law, it is strongly recommended that you seek the advice of an attorney. Stay up to date on Ohio Landlord Tenant Laws + Save money on tenant screening and other property management needs. Join AAOA today, it’s FREE! Ohio Landlord Tenant Laws do allow landlords to require a security deposit. A security deposit may be paid to a landlord to hold the rental property for the new tenant. A security deposit also protects the landlord in event that the tenant fails to comply with terms of the lease or damages the property. When a tenant tenders and the landlord accepts a security deposit, this provides security to both parties that the tenant will move in and the landlord will hold the property. There are some provisions regarding security deposits in Ohio Landlord Tenant Law that are imperative for landlords and tenants to understand. In accordance with ORC 5321.16 Procedures for Security Deposits, when a security deposit in excess of fifty dollars or one month’s rent, whichever is the greater amount, is paid and the tenant remains in the premises for longer than six months, the security deposit “shall bear interest on the excess at the rate of five per cent per annum if the tenant remains in possession of the premises for six months or more, and shall be computed and paid annually by the landlord to the tenant.” Upon termination of tenancy, the tenant must provide a forwarding address to the landlord so that the landlord can send the security deposit to the former tenant. If the landlord deducts any portion of the security deposit for alleged damages or past due rent, written notice must be provided to the tenant within 30 days of termination of tenancy. Ohio Landlord Tenant Laws require that a landlord must supply running water, comply with all housing, building, health and safety laws, keep rental properties in safe and sanitary condition and that the landlord make all necessary repairs in a reasonable time period. All electrical, plumbing, appliances, heating and ventilation systems and fixtures must also be kept in good working order. A landlord does not have the right to enter the premises of a rental property at any time. The landlord must give a tenant at least 24 hours written notice upon intent to enter the premises and must only enter “at reasonable times.” If a landlord violates right of access, ORC 5321.04 (10) (B) provides that “the tenant may recover actual damages resulting from the entry or demands, obtain injunctive relief to prevent the recurrence of the conduct, and obtain a judgment for reasonable attorney’s fees, or may terminate the rental agreement.” It is also important to note that if a tenant brings an action against a landlord for violation of right of access or any other provision regarding landlord responsibilities set forth in Ohio Landlord Tenant Law, that any type of retaliatory action taken against the tenant by the landlord may result in further legal action against the landlord, including a claim for damages and attorney fees filed by the tenant. Tenants also have specific responsibilities under Ohio Landlord Tenant Laws, including the responsibility to pay rent when due, to keep the premises in clean, sanitary condition to not damage or destroy any part of the property and to not let any guest damage, deface or destroy any part of the property. Tenants must also use all appliances, electrical and plumbing fixtures properly. Tenants are required to conduct themselves, and must require that all other persons living in or visiting the property to conduct themselves “in a manner that will not disturb his neighbors’ peaceful enjoyment of the premises.” Tenants are not permitted to deny reasonable requests by the landlord to enter the premises. If a tenant violates any tenant responsibilities under Ohio Landlord Tenant Law, the landlord may bring an action against the tenant which could result in the tenant having to pay damages, court costs and the landlord’s attorney fees. If a tenant is late with rent, the tenant will have three days to vacate the premises upon receipt of the required written Notice to Vacate the Premises. The notice must specifically state, “You are being asked to leave the premises. If you do not leave, an eviction action may be initiated against you. If you are in doubt regarding your legal rights and obligations as a tenant, it is recommended that you seek legal assistance.” If the notice is not properly worded, the tenant may state that as a defense to a forcible entry and detainer action. Otherwise, if a landlord brings an action against a tenant for unpaid rent under Ohio Landlord Tenant Law, the action filed alleges a Forcible Entry and Detainer, under Ohio Revised Code Chapter 1923. If the landlord regains possession of the premises, the tenant must vacate the premises within ten days and can be forcibly removed by the local sheriff’s department. The tenant does have a right to present evidence at the hearing, but it is not an acceptable defense to allege that the landlord failed to make repairs. If a landlord fails to make repairs, the tenant must provide to the landlord a written list of repairs needed. The notice must state that if repairs are not made within thirty days, the tenant will pay rent in escrow to the court. This must occur before a landlord files a forcible entry and detainer. The tenant must have all rent up-to-date in order to pay rent in a court escrow account. Ohio landlords can avoid many issues that occur with tenants by taking advantage of the opportunity to obtain necessary forms that will go a long way towards ensuring that properties are rented to the best tenants and that the landlord tenant relationship will be a good one. Conduct a full, extensive tenant screening and use the proper landlord forms throughout the course of the tenancy to give yourself assurance that you are doing your best to ensure that only the most qualified tenants reside in your Ohio rental properties. Many different tenant screening background reports are available for the landlords and tenants in the State of Ohio. 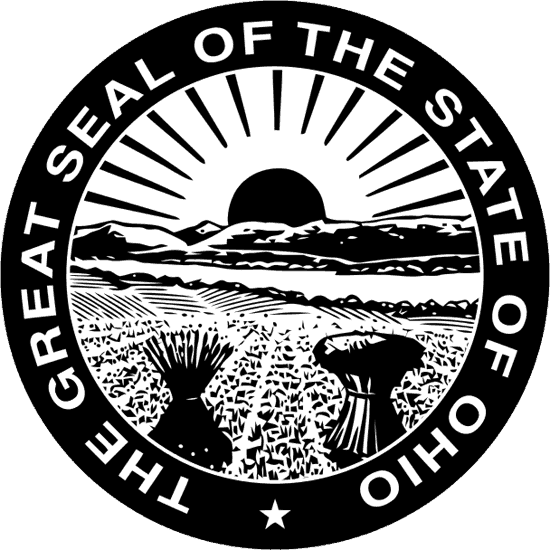 Visit our page for Ohio Tenant Screening Background Checks to learn more. All states require a variety of forms to rent an apartment to a tenant and Ohio is no exception. Check out American Apartment Owners Association’s Ohio Landlord Forms now. Looking for landlord tenant laws outside of Ohio? The American Apartment Owners Association offers helpful landlord tenant laws for all 50 states. Click on any of the states listed below and go directly to its landlord tenant law page. To visit the homepage of landlord tenant laws, click here.